The National Catholic Youth Ministry Conference is held every three years for people in youth ministry. This year more than 150 youth ministers from many backgrounds and dioceses gathered in Christchurch for the NCYMC, 21‒23 April, Alive and Well. They included employed and volunteer youth ministers, junior leaders, priests and religious. The Christchurch Catholic Youth Team hosted the conference. The three-days included formation, prayer and fellowship. The theme of joyful hope and new life was from the Acts of the Apostles (20:9-12). The aim was to explore how to better serve the needs of the young Church and how youth ministers can effectively embrace and journey with young people towards fullness of life in Christ. Main sessions and workshops included evangelisation, leadership development, the Sacraments, the importance of family in youth ministry, and engaging young people in justice and service. Keynote speakers, Jimmy Mitchell (Mysterium, Love Good Culture) and Roby Curtis (Blind Eye Ministries), encouraged further discovery of God’s love and the beauty of Catholic faith through and alongside young people. For Emily Bruce of Wellington’s Family and Young Church Vicariate, listening to Jimmy Mitchell was a highlight. Jimmy, a musician from Nashville, is well-known and highly regarded as a Christian youth leader who hosts retreats and addresses conferences for youth and young adults all over the world. 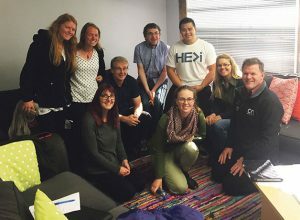 Following the National Catholic Youth Ministry Conference in Christchurch, Catholic Youth Ministry Coordinators from around the country met on Monday 24 April to discuss proposals to present to the New Zealand Bishops Conference meeting in Christchurch during that week. The Bishops Conference approved the following proposals. The re-establishment of a National Council for Young Catholics, to assist NZCBC articulate a national vision for youth and young adult ministry, and to strengthen implementation of national projects. The council will provide draft terms of reference and a budget to the October Bishops Conference meeting. 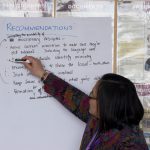 With the preparatory document for the International Synod for Youth, Faith and Vocational Discernment available for consideration and response, The Bishops Conference asked the new council to work on developing a national vision and pastoral process for the Youth Synod 2018 and to manage, oversee and implement Synod consultation in New Zealand. The Conference supported the concept of a national pilgrimage group for World Youth Day 2019 in Panama for pilgrims aged 18 and over. Bishop Charles Drennan offered to lead a national pilgrimage. Family and school groups electing to travel with young people under 18 would be independent from the national pilgrimage. The re-established council provides a formal process for Diocesan Youth Ministries to work together across the country on projects with national scope. National projects and networks are more likely to make relevant faith connections between mobile, digitally-connected young people as they move within and beyond their Diocesan faith boundaries. Isabella McCafferty from Wellington Archdiocese Family and Young Church Vicariate, and Teresa McNamara of Auckland, were New Zealand’s youth delegates at the international conference in Rome 5–9 to April, entitled: ‘From Krakow to Panama: The Synod Journeying with Young People’. Isabella McCafferty reports. After an epic 36 hour trip we arrived in Rome and rolled straight into meetings. The first was an informal gathering with delegates from core English speaking countries. It was a great opportunity that set us up well for the rest of the week. The Dicastery for the Laity, Family and Life, organised the meeting in collaboration with the General Secretariat of the Synod of Bishops. Some 270 delegates attended from 103 countries. Included were a debriefing of 2016 World Youth Day in Krakow, and discussions about next year’s Youth Synod and the 2019 WYD in Panama. For us, it was a great blessing to unpack the Synod preparatory document and hear from seven different countries about their preparations and plans. As delegates, we were blessed to join Pope Francis at a prayer vigil on 8 April at St Mary Major Basilica, before being welcomed at Palm Sunday Mass in St Peter’s Square where a group of Polish young people handed over the WYD Cross and Icon to those from Panama. We had great views for each event, which enabled us to experience more fully Pope Francis’ leadership and spirit. I could clearly see Pope Francis preach adlib during the prayer vigil with such passion. I could sense authenticity in his desire to connect with young people. He spoke with passion that the Church needs to listen to all young people, even those who do not believe in God. ‘Every young person has something to tell others, has something to say to adults, has something to say to the priests, nuns, bishops and the pope,’ he said. 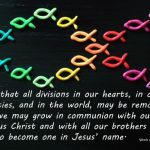 As we begin the journey towards the 2018 Youth Synod across New Zealand, the desire to hear from as many people at varying levels of connection is the priority. 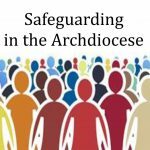 An opportunity for the voice of young people to be heard to this degree in the Church, would have seemed unlikely 50 years ago and is likely to be a chance we will not get again anytime soon.